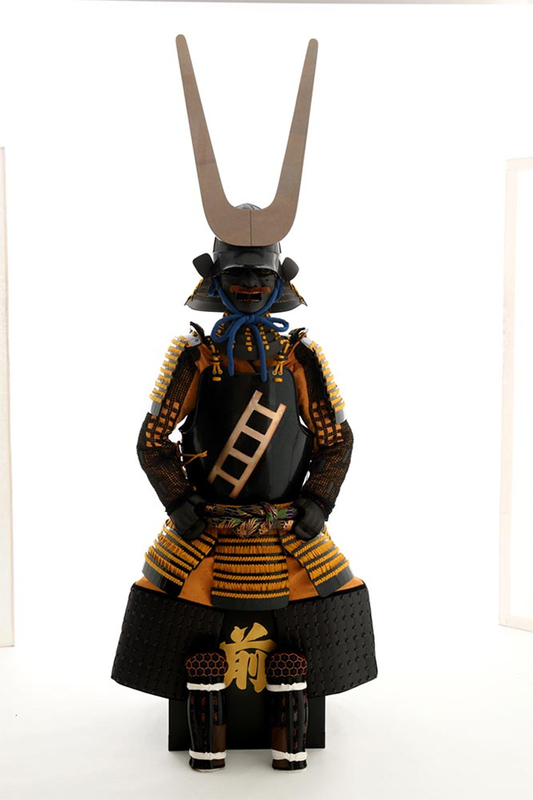 This Yoroi is the faithful reproduction of Sanada Masayuki's most famous black suit of armor featuring wooden Tencho or "zenith of the heavens" header board fished with beaten silver. 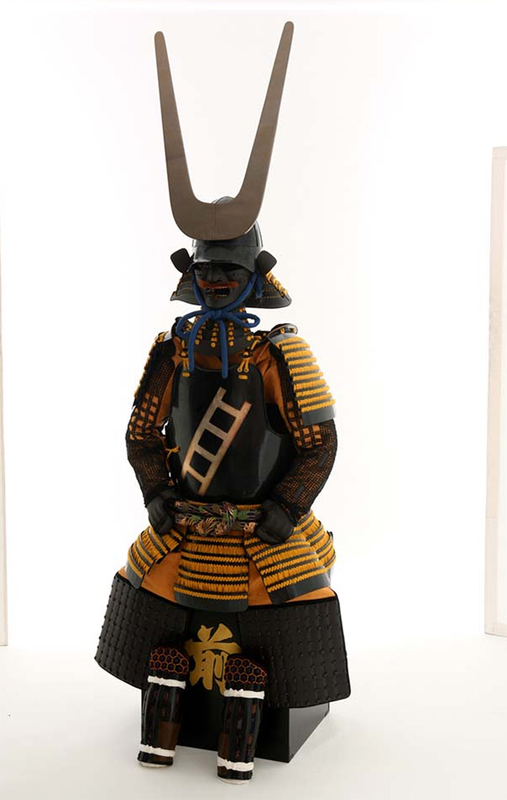 It is brought back to life by our skilled artisans, who meticulously shape each piece by hand. 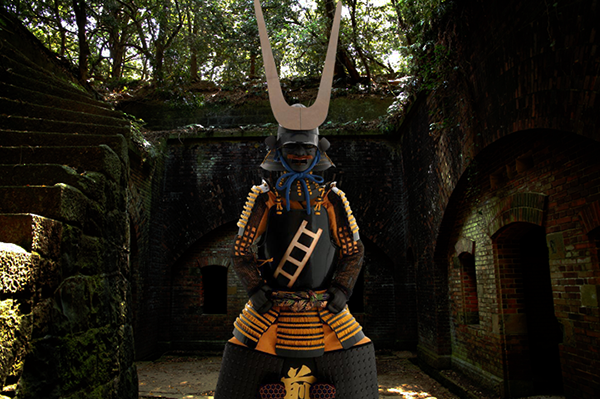 The helmet is comprised of 8 separate iron plates, each with its own specific proportions. 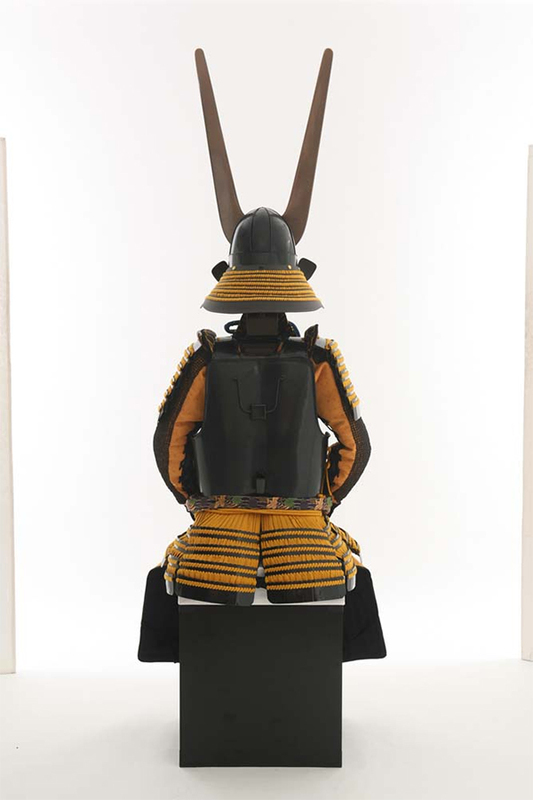 When joined, they result in the perfectly formed kabuto seen here.This suit's body armor is constructed by hand, using two iron pieces, genuine leather, beautiful silk lacings and elaborately crafted chainmail. 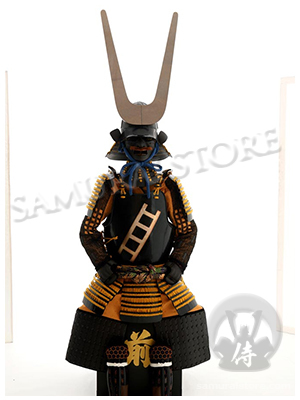 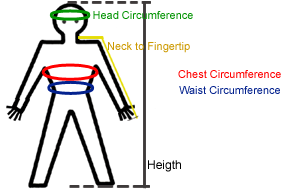 This Yoroi comes with all parts and accessories listed in the charts below, and can be worn, if desired.